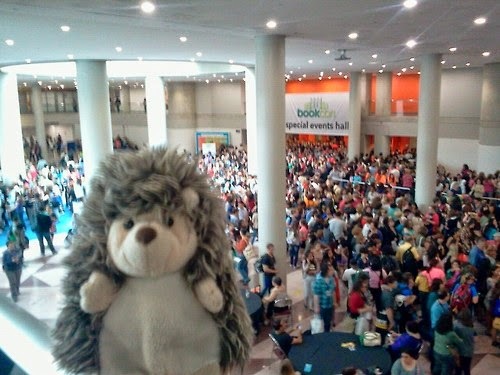 A hedgehog takes on a convention full of thousands of literary individuals: authors, publishers, agents, editors, publicists, booksellers, librarians, bloggers, and of course – books. 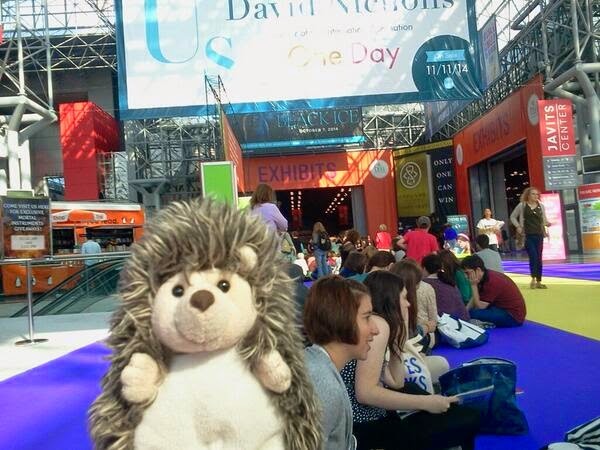 This was my fourth year attending Book Expo America, an annual publishing event held in New York City. 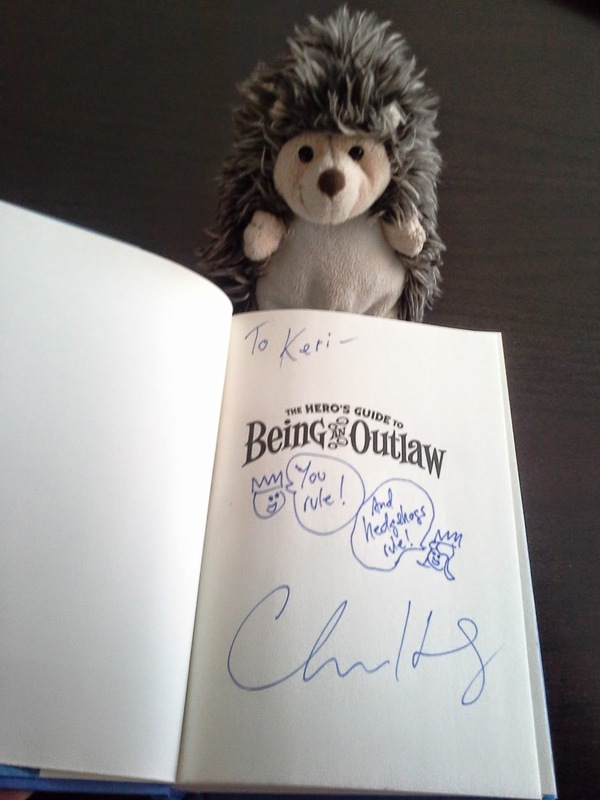 Quillbert, the literary hedgehog of Quill Café, has actually attended with me in the past, yet while I took him out for the occasional photo op, I didn't display him prominently throughout the event. 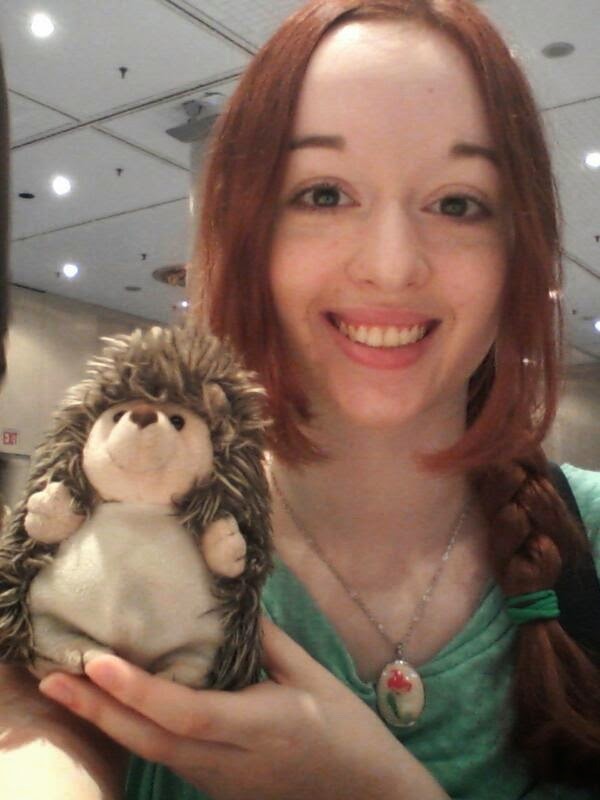 This year, Quillbert was my near-constant companion. I would walk around with him in my hand, and got many inquiries and compliments. It was a great segue to handing over business cards and starting conversations. Wednesday, the 28th of May, was the Book Blogger Conference, which I hadn't attended since 2011. I met plenty of wonderful fellow bloggers there, spent time with my friend Meredith, and attended panels throughout the day. The highlights for me were definitely the key note by Maureen Johnson, and the panel on 'Blogging and the Law,' which was very informative. The panel 'The Publishing Process: How Bloggers Have Changed the Game' was mislabeled, and was actually about how vloggers are influential. An unfortunate confusion, but as a booktuber – as well as a book blogger – I found it both interesting and encouraging. After the panels, they set out some books and 'Tiger Beat – a band comprised of authors Libba Bray, Natalie Standiford, Barnabas Miller, and Daniel Ehrenhaft – rocked out. I picked a few titles that I was keen to read, and was introduced Romina Russell, the lovely author of the upcoming novel 'Zodiac.' She asked me what sign I was (Gemini!) 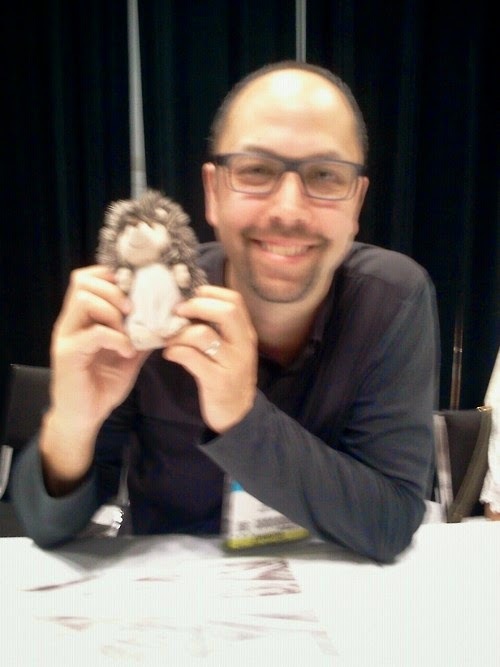 and personalised the book for me, before becoming the first BEA 2014 author to be photographed with Quillbert. Then I headed off to the Harlequin High Tea, where I chatted with the wonderful people of Harlequin about their titles, met with some lively fellow bloggers, and enjoyed delicious cookies. 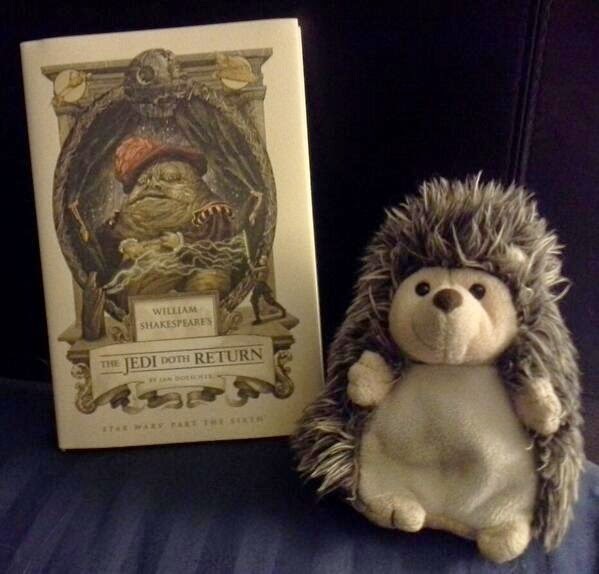 Afterwards, I returned home to find that my review copy of 'The Jedi Doth Return' by Ian Doescher – the final book in the 'Shakespeare's Star Wars' trilogy – had arrived in the mail! On the morning of the 29th, I attended the Harlequin blogger breakfast, where the authors, editors, and publishing persons of their upcoming teen titles sat and chatted with us. It was a wonderful way to start the first full day of BEA. After breakfast, I took my time navigating the floor. I stopped by the Quirk booth to thank them for the Jabba-tasticness. 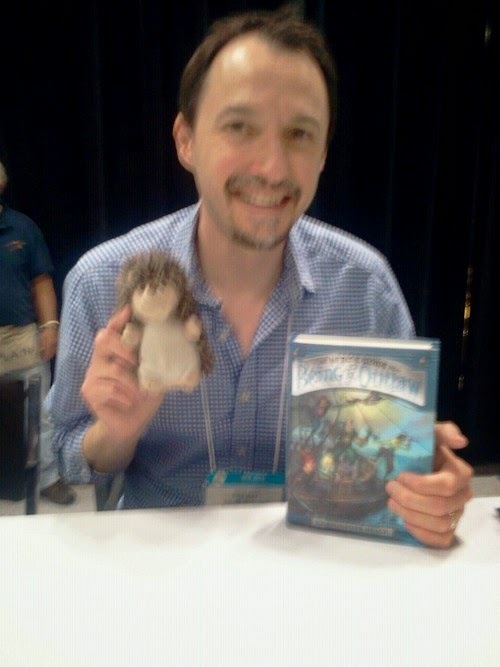 I talked with Eric Smith, Quirk's social media manager and author of 'The Geek's Guide to Dating,' who introduced me to one of their authors, Grady Hendrix. 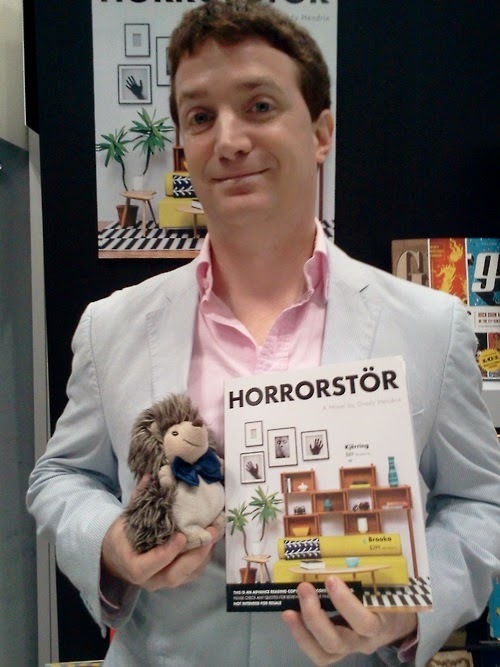 His novel is 'Horrorstör,' which is about a haunted furniture superstore. I love how the cover looks like a catalogue! Later, I went to a few author signings. The thing about me and authors is that, regardless of whether I have read their work or not, I often don't know exactly what to say to them. Funnily enough, I was in a signing line for a children's book called 'The Book with No Pictures' by B.J. Novak. It wasn't until I was in line that I realised I was probably the lone clueless body who was there based on the concept of his book, not due to the fact that he is a well-known actor. Friday was the day I had most things marked down in my schedule. I kept an optimistic attitude, as there were several events and signings happening simultaneously. I made sure to get there in plenty of time to, check in and wait for the floor to open. The early hedgehog gets the worm! It was most definitely my busiest day of BEA, but also the most satisfying. My ultimate priority of the day was Jandy Nelson's signing for 'I'll Give You the Sun.' Her first book, 'The Sky is Everywhere' was my favourite read of 2010, and I have been anticipating a new novel from her ever since. It was such a pleasure to meet her. One thing that became very apparent to me was just how slowly time goes when you are waiting for an official signing line to start forming. The maximum time is meant to be 30 minutes in advance, but sometimes it was 15 or 5. I was amazed by how many things I managed to do while waiting for the line for Kobi Yamada, author of the brilliant picture book 'What Do You Do With an Idea?' to open. Clearly not enough people know about his book, which is something I hope to help change. I've heard nothing but great things about E. Lockhart's recently published novel, 'We Were Liars.' I hadn't thought that I would be able to get in line for her signing, but I managed to get there half an hour in advance for a ticket, and chatted with some great people in line. Waiting in lines might seem like a tedious ordeal, but the people you meet are a magnificent perk. The line went smoothly, and it wasn't long until I was ushered to the front to meet E. Lockhart. Look how happy Quillbert is! My final must-see of the day was Kelsey Macke, author of the upcoming YA contemporary title 'Damsel Distressed.' As well as being an author, Kelsey is a musician and fellow booktuber, and her novel will incorporate music from her and her husband's band, Wedding Day Rain. It was so exciting and surreal to meet her in person, and she was just as excited to see me, which is wonderfully elevating. 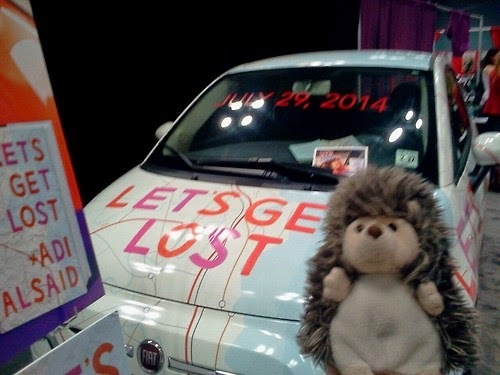 The final day of Book Expo America was also Book Con, the day that is open to the public. In the past two years, consumers have been allowed access to the BEA floor, but this year they had their own sectioned off area. This meant that the line to get onto the BEA side of the floor was exceptionally short, and I waited with my friends Sydnee and DJ for our final Book Expo excursion. 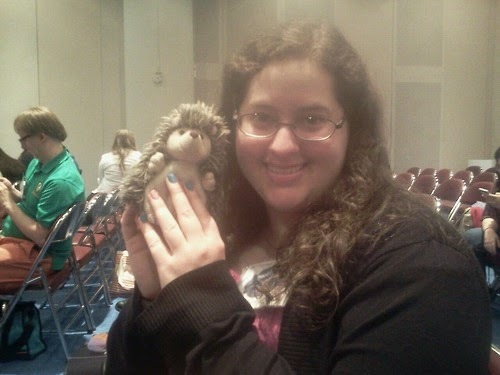 DJ and I attended the Scholastic Book Con breakfast first thing, where we met and chatted with fellow bloggers, as well as authors Cassandra Clare, Holly Black, and Maggie Stiefvater. They were all lovely to talk to. and signed our backstage passes. 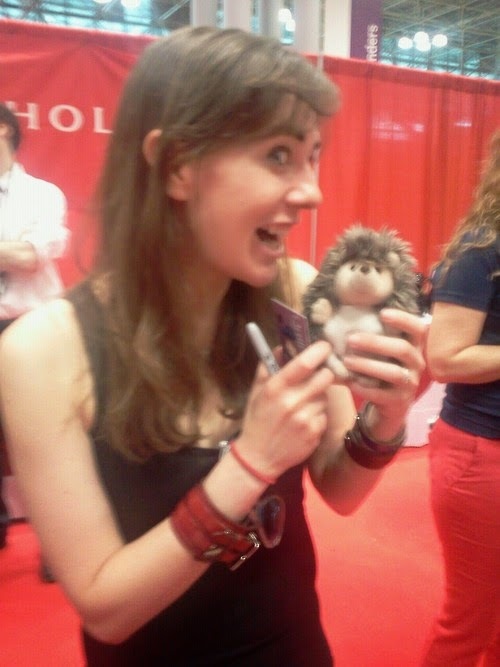 Maggie took a rather lively photo with Quillbert. He was shaking...from excitement! Unfortunately, I missed the #WeNeedDiverseBooks panel, but I was glad to hear that it was such a huge success. I took the time to venture into the Book Con side of the floor. It – was – packed. Book Con was a third of the regular BEA floor, with an anticipated number of 10,000 people attending. It was exceptionally crowded and quite hectic. 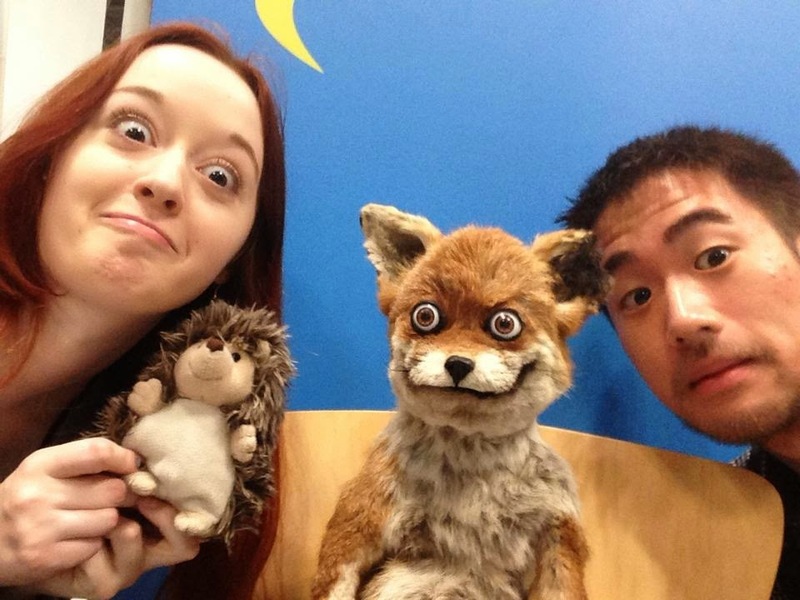 This rather foxy selfie I took with DJ represents our initial reaction to Book Con. If I had to sum up Book Con, I'd say it was...overwhelming. "Organisational disaster" is the politest term that springs to mind, although Grumpy Cat – in Chronicle Books' postcards, which I sadly did not get – sums it up far more candidly. 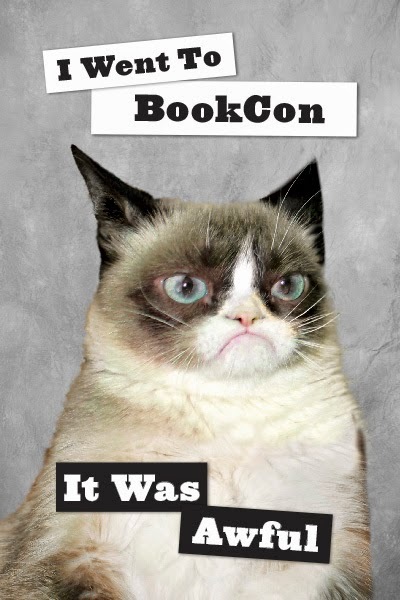 However, my experience at Book Con wasn't awful. I was lucky to avoid any incidents or injuries, which I hear were sadly aplenty. On my way to the one signing I wanted to attend, I hit a wall in the autographing area, which I have since learnt was for Libba Bray. I took a detour and discovered that the line for Christopher Healy was established and short, even though it was only a 30 minute slot. Clearly his books are another I need to hound people to read. The first installment is 'The Hero's Guide to Saving Your Kingdom.' Get on that, quillers! It was marvelous to meet and chat with Christopher Healy, who not only writes witty and clever novels but is extremely friendly. The experience was only heightened by the fact that he recognised me from twitter! Not to mention his wicked personalisation. Best – author – signature – ever. Another postive part of Book Con was the official booktuber meetup, which was happening in the Book Con lounge. Locating said lounge was a little confusing, as it was put down under a number that wasn't even on the Book Con side of the floor. However, I managed to sit down and chat with quite a few booktubers. It was nice to see some familiar faces. Yes, I am that weirdo who approached strangers I only know from the internet and says, "I know your face." You're welcome, traumatised booktubers. Afterwards, I escaped to the BEA side of the floor, which was ludicrously deserted compared to the condensed Book Con. I then stood in the line for the ladies' loo, which was a luxury compared to the view below. I knew that the panel for 'The Fault in Our Stars' film adaptation was a huge draw for the event, but Holy Expletive, Quillbert! By the end of it all, my sore feet were saved by Alexis and Clarice – the municipal liaisons for NYC NaNoWriMo – who fed me crisps and let me sit with them in their booth. Grant Faulkner, the Executive Director of NaNoWriMo (who I had met the year previously) was there and completely cool with me joining them, even though I'd basically stolen his seat. What can I say? Wrimos rock. 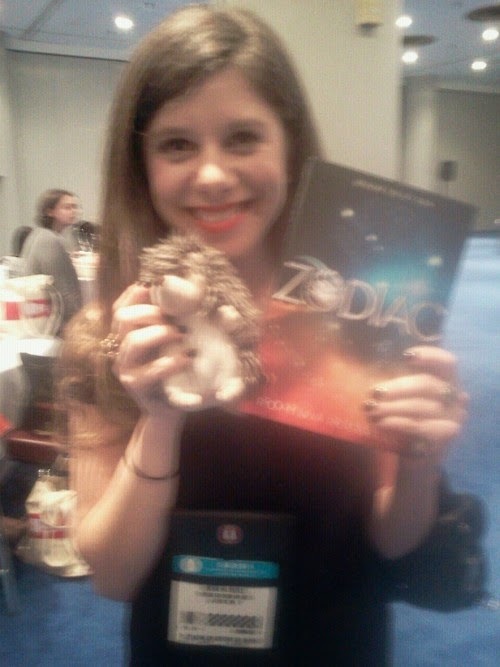 If I took a blurry photo of you at #BEA14, it means I was shaking from excitement at meeting you. 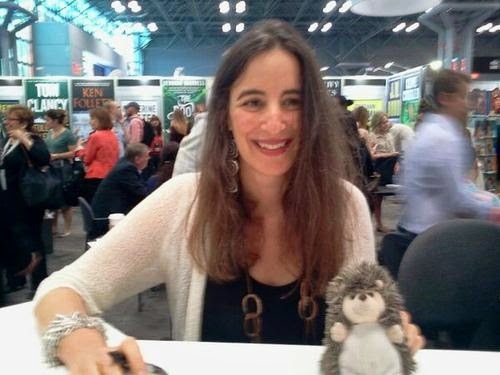 Overall, I had a great experience at Book Expo America this year. 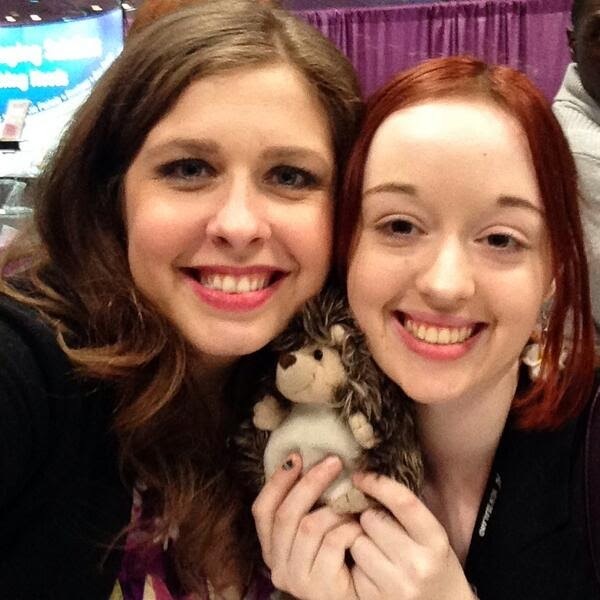 Quillbert definitely enjoyed himself, and was continuously mistaken for a celebrity: Snarkles from Epic Reads. Who knows, maybe it won't be long until he'll be recognised in his own right? 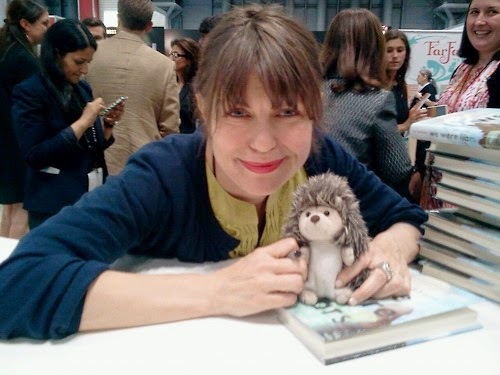 If you attended Book Expo America or Book Con, I hope you had a good experience. My favourite aspect every year is all of the people I am able to meet and talk to. Each one of us loves books, and sharing that passion is the best sensation. I`m even more excited about attending next year after that lovely post. Just followed you. Thank you again for the advice for next year. 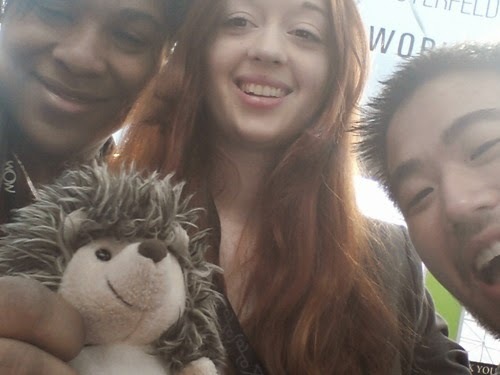 I love all your pictures of Quillbert and his new celebrity friends! I stumbled across this post while searching for BEA news (living in England, I continue to live vicariously through other people every year!) and I think it's my favourite recap so far! I'm so glad you like it! I wanted to be able to capture it all, without coming across as gloating. That's what I was always afraid of in the past, and why I haven't written up previous BEA recap posts. I couldn't keep all these fabulous photos of Quillbert a secret, though. He's a bit of an attention hog. 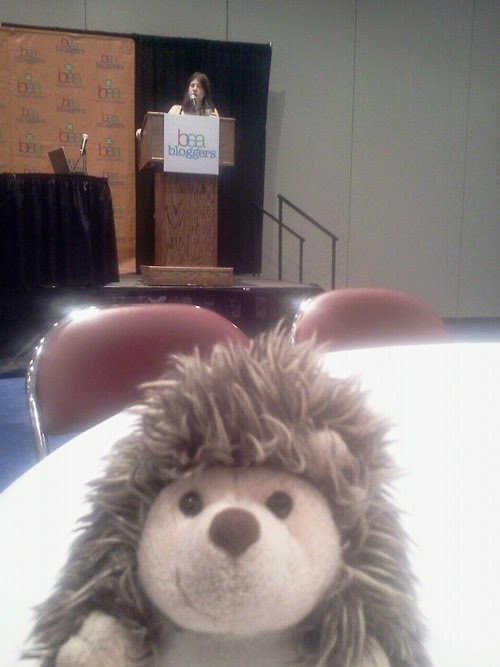 Hi Keri, what a great recap of your BEA experience. We met there, and unfortunately I didn't indicate where we met on the business card you gave me. I love how you included Quilbert in you pics of the authors. So creative! I sent you an email. You, sir, shall definitely be a future victim of Quillbert's narcissism! Prepare yourself. If you are looking for the best Bitcoin exchange service, then you should choose YoBit. Did you know that you can shorten your links with AdFly and receive cash for every visit to your shortened urls.